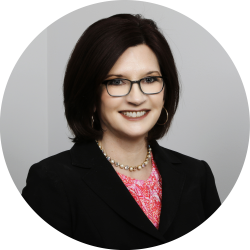 Karen’s expertise covers a vast range of commercial real estate services including project leasing of shopping centers, tenant representation, big box disposition, and asset management. Karen’s success stems from her tireless service, negotiation and trouble shooting skills, responsiveness, and devoted commitment to her clients. She has extensive market knowledge in the southeastern and southwestern states. Prior to joining The Woodmont Company, Karen was the primary leasing and management agent over 20 regional shopping and power centers in 12 states for DDR. She also spearheaded the disposition of the Service Merchandise assets, and was a key contributor in the merger with JDN Realty. At Walmart, she managed the sales, leasing and disposition of their vacant real estate portfolio in the Southeast and was also the asset manager of 400 stores. Leasing & management of 20 regional shopping / power centers in 12 states. Directed a portfolio of 7 million SF with a budget of $52 million in base rent. Vast experience with national and regional tenants. Walmart’s vacant real estate portfolio – managed the sales, leasing & disposition in SE. Top producer disposing of over 5.8 million SF, contributing $174,000,000 in transactions. Realty/Asset Manager for 400 operating Walmart stores in 17 western states.